It’s another lovely Friday, and we have a really fun prize to give away today! One lucky winner will receive this Letter It Embossing Technique Kit! Personalize your cards and crafts with interest and dimension with the Ranger Letter It Embossing Technique Kit! Enhance your hand written notes, create one of a kind projects and learn simple embossing techniques. 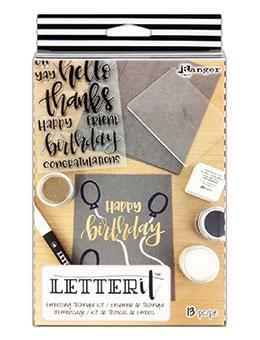 This kit includes everything you need to get started, including a beautifully hand lettered stamp set with all occasion sentiments, three embossing powders, a medium pen, an embossing ink pad, acrylic block, grey cardstock, and a step by step technique sheet. Question of the week: Pizza or tacos? This entry was posted in Crafts and tagged Free Stuff Friday!! on April 5, 2019 by Kimberly. Try your hand at a simple weaving project on a very basic cardboard loom–a fun little project for yourself, or for kids. 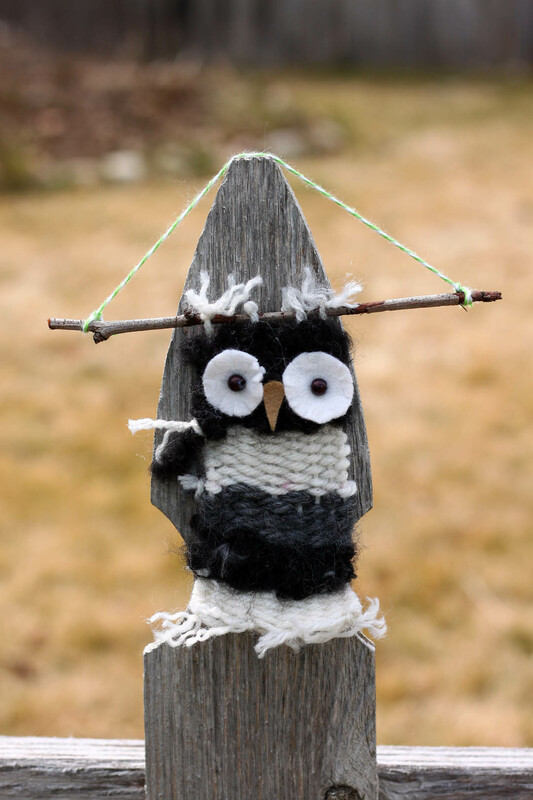 This entry was posted in Crafts, Family Crafts, Wall Art and tagged beginner weave on cardboard loom, Felt, Owls, wall hanging, Weaving, Yarn on April 4, 2019 by Michelle. It’s the best part of Monday, time to announce this week’s Free Stuff Friday winner. Congratulations to… Kelly B! Enjoy the Mod Podge Ultra! Mod Podge Ultra is a super strong, non-toxic spray formula that works as glue and sealer with a high adhesion level. Perfect for dimensional embellishments. Dries quickly to a gloss finish and naturally self-levels, leaving no brush marks. Indoor/outdoor; UV protection. Durable scratch-resistant and water-resistant. Every Friday we’ll post a giveaway on Think Crafts and all you have to do is comment on the blog post answering the question of the week. Check back on Friday for your chance to win!! This entry was posted in Crafts and tagged Free Stuff Friday!! on April 1, 2019 by Kimberly. Happy Friday all! We’ve got another fun giveaway for you this week. One lucky winner will receive 2 bottles of the brand NEW, Mod Podge Ultra! Question of the week: What’s your favorite thing about spring? This entry was posted in Crafts and tagged Free Stuff Friday!! on March 29, 2019 by Kimberly. 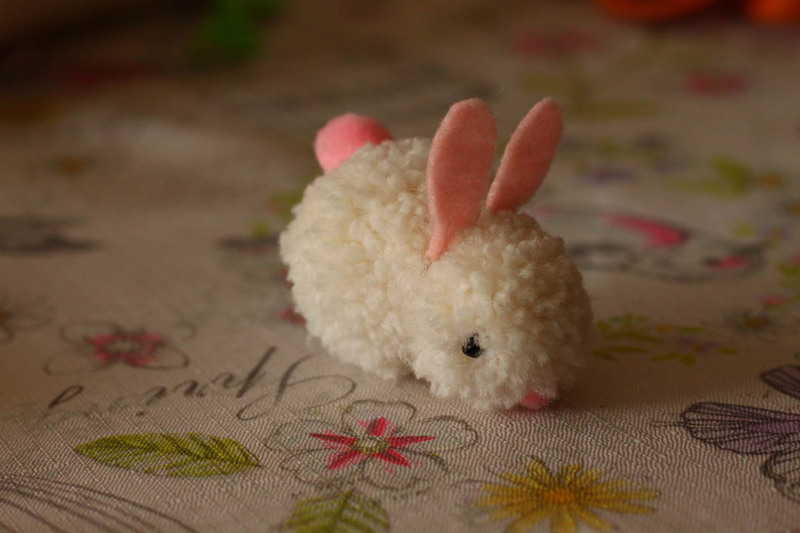 Make a sweet bunny hair accessory to wear for spring with this easy tutorial. This entry was posted in Crafts, Family Crafts, Spring and tagged bunnies, Felt, hairclips, kids craft, party favor, pom pom maker, Pom Poms, Yarn on March 28, 2019 by Michelle. Okay you guys, I have found the cutest little kit for today’s giveaway, so let’s get right to it. Today I will be giving away a Crafty Chic Bunny Purse Kit, and the matching Coin Bag Kit! 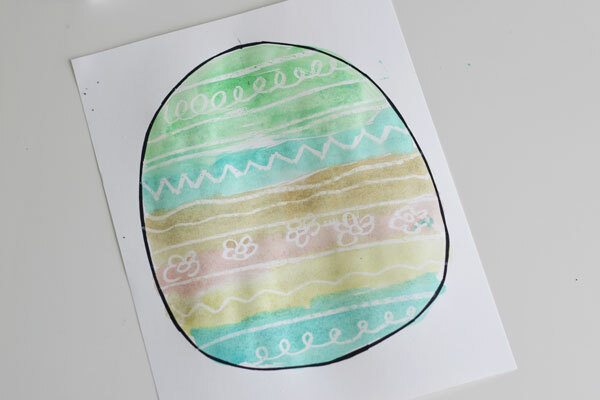 (They are perfect for Easter!) All of the Craft Chic Kits are so cute, so be sure to check them all out here! Create this cute purse in the shape of a bunny face. 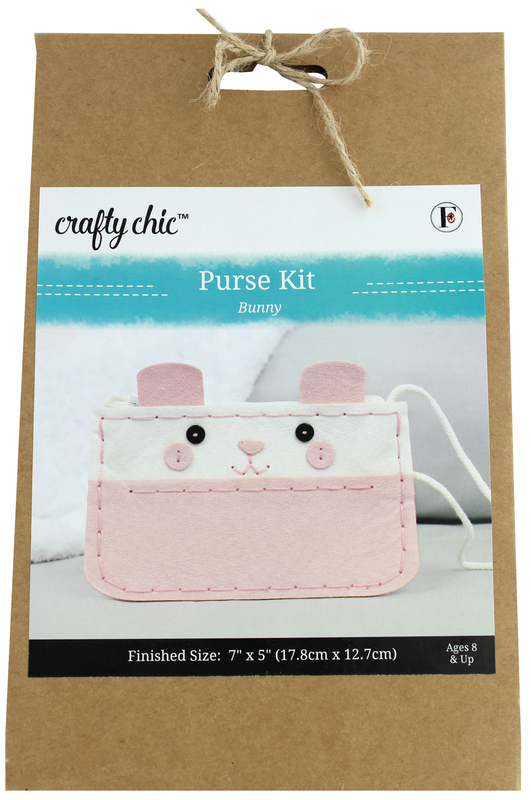 The Crafty Chic Bunny Purse Kit contains 8 – 100% polyester felt pieces, 100% cotton cord for strap, one nylon zipper, miscellaneous embellishments, polyester embroidery floss, plastic needle, and easy to follow instructions. Finished size measures approximately 7 x 5 inch. Recommended for ages 8 and up. Every Friday we’ll post a giveaway on Think Crafts and all you have to do is comment on the blog post answering the question of the week. We’ll pick the winners and contact them via email. Deadline is midnight tonight and the winner will be announced on Monday. One entry per person please. Question of the week: Where is your favorite place to find craft inspiration? This entry was posted in Crafts and tagged Free Stuff Friday!! on March 22, 2019 by Kimberly.